Packed in a durable lightweight tin this 10-piece artist set includes an assortment of pencils graphite blocks blender and eraser. * These essential tools can be used for drawing sketching toning shading and blending. * Use on assorted mediums for varying effects. 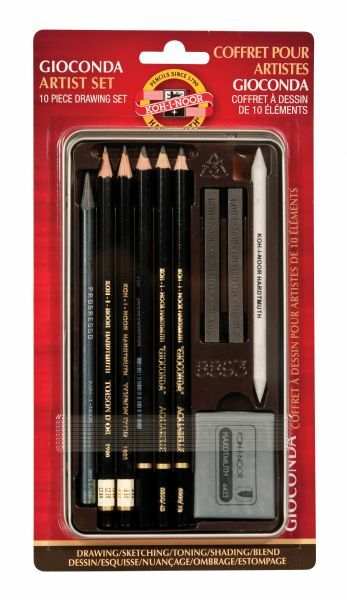 * Set contains one woodless graphite pencil 6B; two Toison D'or (2B and 4B) pencils made from the finest Hardtmuth Graphite; three Gioconda Aquarell pencils (2B 4B and 6B); two graphite blocks (4B and 6B); one eraser and one shading stump. 9.75" x 5.12" x 0.5"